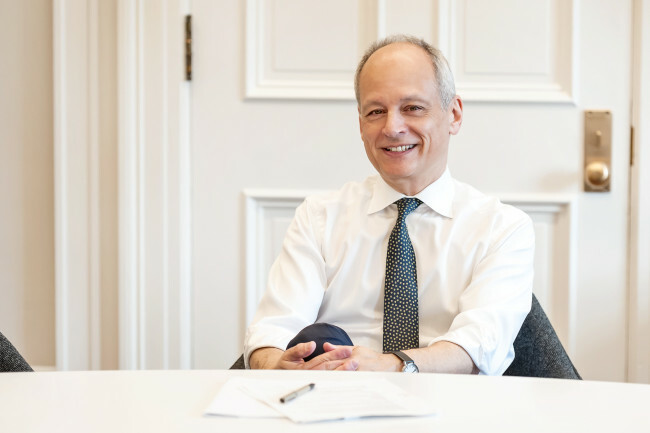 In the era of the “fourth industrial revolution,” higher education should cultivate resilience in student intellectual capacity, and “human qualities” that put people above machines, according to University of Toronto president Meric Gertler. Gertler, a renowned Canadian urban theorist who taught at the university from 1983 through 2013, also stressed that universities and graduates should engage one another in a lifelong relationship to get a head start in the global economy. “How can we educate our students to be ready for the disruptive changes brought by the fourth industrial revolution? The answer is to prepare them to be resilient and strengthen the four competencies that they can use throughout their career -- capacities for communication, creative problem-solving, teamwork and emotional intelligence. These are things that separate humans from machines,” he told The Korea Herald in Seoul. Gertler came to Korea to promote his institution and give a boost to existing cooperation programs with Korean universities. 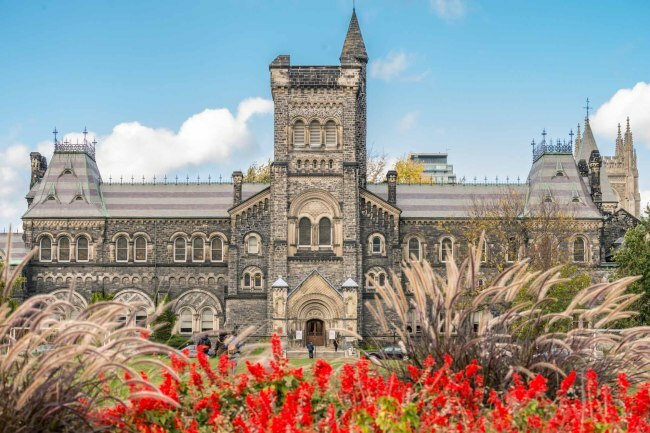 Founded by royal charter in 1827, the University of Toronto is Canada’s top-ranked public research university and also the largest, with over 61,000 students, 2,500 faculty members and 4,600 administrative staff. 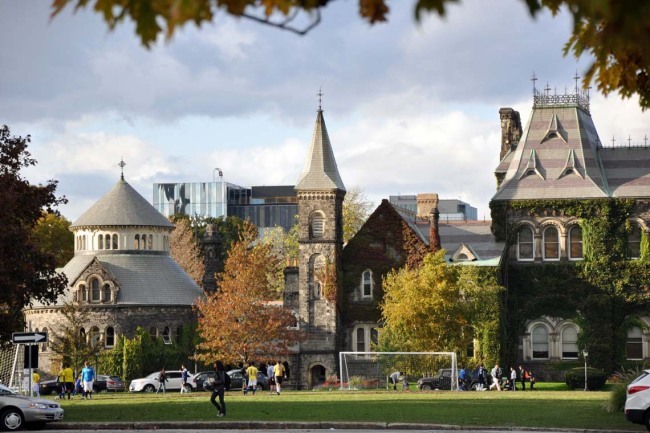 As a collegiate university, it comprises 11 colleges that enjoy substantial financial and institutional autonomy, and two satellite campuses in Scarborough and Mississauga. The university is commonly ranked as the best Canadian university by various influential publications, and is 21st in the world in this year’s Times Higher Education World University Rankings. “It tells me that the employers around the world recognize the quality of our education and the value of our degrees. Our graduates are being snapped up and getting great jobs, not just in Toronto but around the world,” said Gertler. The university counts some 500 South Koreans among its students, studying various disciplines, including engineering, commerce, medicine, social sciences and humanities, both at the undergraduate and graduate levels. “We also have increasingly close links with some of Korea’s largest corporations that have already invested in Toronto, or have plans to do so,” the president highlighted, mentioning the Samsung Electronics Artificial Intelligence Center at the university and a recent partnership with LG Electronics, which will build a multimillion-dollar AI research lab inside the school this fall. International internships are also on the rise, Gertler added, giving students opportunities abroad. The scholar turned attention to Toronto as an economically vibrant, culturally diverse and tolerant and globally oriented metropolis. Toronto’s roiling startup scene, stirred up by a constant process of creative destruction of small and midsized enterprises, is one of the ingredients fueling the city’s booming economy, Gertler explained. Toronto’s diversified economy -- undergirded by the sectors of finance, government, cultural industries, higher education, retail, hospitality and tourism, as well as manufacturing, particularly in autos, food, clothing and fashion -- makes it competitive and stable during industrial paradigm shifts, he added.